Former Pirate Bay operator Fredrik Neij can't play games on his Nintendo 8-bit console in prison. The prison denied the request because there's no way to open the box to check it for concealed items, a decision the Pirate Bay operator is now appealing before the administrative court. 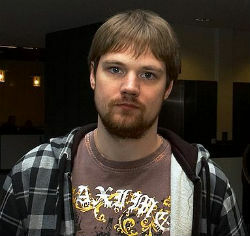 Fredrik Neij, also known as Tiamo, was one of the key operators of The Pirate Bay and often referred to as one of the site’s co-founders. In 2010 Fredrik received a prison sentence for his involvement with the notorious site, which he initially avoided. Last November he was eventually arrested by Thai immigration authorities and later transferred to a prison in Skänninge, Sweden. Under the circumstances, Fredrik has been doing relatively well. However, prison life lacks distraction and entertainment, not to mention a digital connection to the outside world. To kill time The Pirate Bay’s former operator put in a request to play games on an old Nintendo 8-bit console. Not the most advanced gaming experience, but a real treat for someone with virtually no access to entertainment. Unfortunately, however, Fredrik’s request was outright denied by the prison administration. While gaming isn’t against the rules, they state that there’s no way to open the box to check it for concealed items. “The console is sealed in such a way that it can not be opened without the machine being destroyed,” the prison wrote in a reply. Fredrik doesn’t agree with the decision decided to appeal the case before the administrative court. Pirate Bay’s former operator doesn’t believe that a game console from the 80s without any network connectivity poses a threat, and points out that the prison only has to buy a simply screwdriver to check the box. “That the institution lacks a screwdriver which costs 100 kroner can not be considered reasonable,” Fredrik writes. “One has to wonder how many other victims there are when all video-game units of the brand Nintendo have the same screwdriver,” he adds. This isn’t the first time that Fredrik has appealed a decision from the prison. Earlier this month he filed an appeal after the institution denied a request to print three documents.